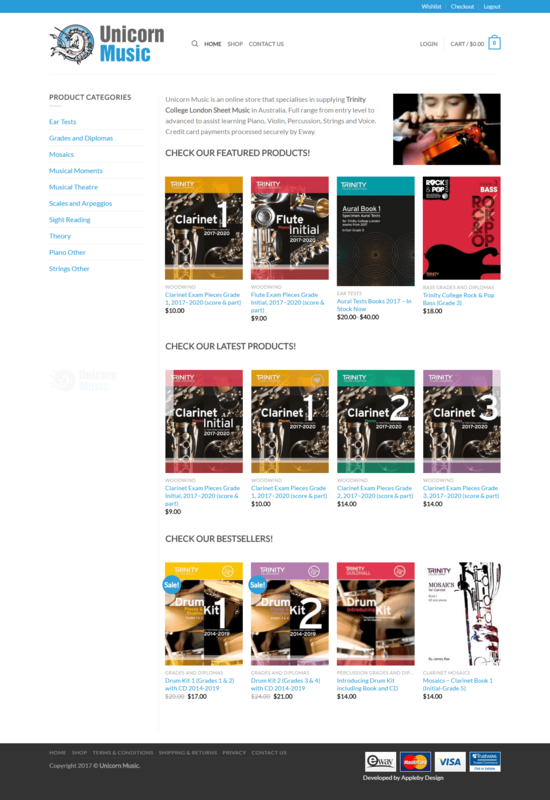 UnicornMusic.com.au is an ecommerce website based on WordPress and WooCommerce. They sell Trinity College London sheet music. We built Unicorn’s first website 2 years earlier and have now upgraded them to greatly improved new technology now available. The new website features improved usability, mobile responsive design, better SEO and easier to use backend content and product management. We’re confident the improvements will bring increased sales and more customers in the years to come. When new technology becomes available we let our customers know so they can always be ahead of the competition.